Who wouldn’t want want to improve the look of their pond? Plus, if you have fish living there, they would surely appreciate a clear water to swim in, instead of a viscous green mass. That’s exactly why you need the best pond filter for the job! In this article, we’ll answer some of the most burning questions about a pond filter. 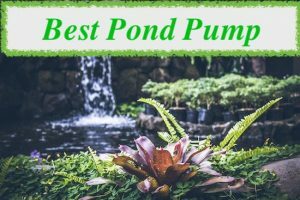 After discussing how these work and how you can choose a good one depending on the product specifications, you can read some of the pond filter reviews below. Some filters seem to have very similar characteristics, albeit a different price. So if you don’t understand how they work, you might end up choosing the wrong filtration system. There are various ways in which a pond filter makes your water clear, by eliminating things that turn it green and smudgy. Most products feature a mechanical filtration system that gets rid of smudge and other residues. Apart from getting rid of dirt, it’s important to get rid of the organic material. A biological filter creates its own micro-sewage system, by helping good bacteria multiply. These bacteria help to decompose fish faeces along with their food, turning Ammonia toxins into Nitrate that the plants in your pond can absorb. Some filters boast UV clarifiers as well. A UVC can prevent micro-organisms and green algae from multiplying, thus keeping your pond water looking crystal clear. The size of your pond filter depends on how big your pond is, its shape, where the pond is located in your garden and the fish stocking level. Of course, a bigger pond with lots of fish requires a bigger filter. Use this Pond Calculator to work out the volume of yours if you known the measures (length, width and depth). A good product should be able to filter the whole volume of water in your pond three times per 24 hours, in case of an un-stocked pond. The rule of thumb is that your filter’s water flow should be 1.5 times bigger than the pond’s volume. So if you have a 5,000-litre pond, the filter should be able to circulate 7,500 litres/hour. However, if the pond is placed in direct sunlight, multiply that final result by another 1.25 times. Warmer climates mean you’ll have to multiply this result again by 1.15, while more than 1 kg fish/1000 litres need you to multiply again by 1.5 times. There are various ways to make sure your pond filter is clean, and the best way is to ensure preventative maintenance by regularly checking if it’s installed and working correctly. Spring cleaning means getting rid of any clogs or algae growth inside the biological filter, by rinsing it. But the purpose of a biological filter is to preserve good bacteria, so use pond water to rinse it for the first 6 weeks. After that, you can use a garden hose, but make sure the water pressure is low. After this, it’s also a good idea to check the tubes and repair or replace the cracked ones. Secondly, clean the filter pads and check for any damage to the mechanical part. This can be done as often as you want or when you see the water flow decrease. You simply take out the debris and smudge, after which you rinse the filter with a garden hose. The short answer: as often as needed. Long answer: it depends on a variety of factors, such as the size of your pond, the temperature, the stocking level, the degree of sludge and debris, and if you’ve just set up the filter. As a rule of thumb, the filter should be cleaned at least twice per week during the first 6 weeks. After that, if the temperature is above 18ᵒC, you can clean the filters only once each week, unless you have excess dirt or if the fish kick gravel into your filter during their mating period. 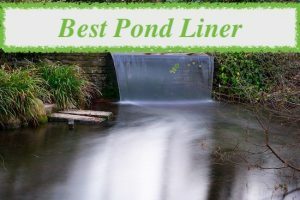 How Much Does a Pond Filter Cost to Run? This depends on the power of that filter. Multiply 12 pence/hour with the power of the filtration system to get your cost/hour, and again with 24 to get the cost per day. For instance, a 20 W filtration system means you’re spending 0.02 W * 12 * 24 = 5.76 pence each day. In general, even the most powerful filter won’t go over £1 each day. As such, if you want to minimise energy consumption and decrease your costs, opt for a smaller, power-saving filter. Some of them don’t even need to be plugged in, they can simply be activated by your pond pump. This is another essential thing to consider, in order to eliminate any issues regarding the setup and use. For instance, hose tail fittings are very useful to fit different types of hoses, while the cable length is essential for the best positioning of your filter. Other great features may include a cleaning handle for easy maintenance, a comprehensive guarantee, air stones for extra aeration, and a design that allows you to bury the filter. This is important because a buried filter is more protected and doesn’t mess with your garden’s landscape. After taking into account all these factors, take a look at what the UK market has in stock for you. The filters below differ in terms of price and their specific features help them meet different purposes, even if they might seem similar for someone who doesn’t know what to look for. This pressurised pond filter is a popular product that dissolves and removes any solid waste from your fish pond. That’s because it’s fitted with a biological and mechanical filter that work together for optimum results. There are various things included in this kit, such as the AquaECO-3000 pond pump, two jubilee clips and a 5-metre resistant hose. This filter has UV sterilisers built into its design, which are meant to be under constant pressure by the pump. That means the water flow will be constant, so that will get more oxygen into the water for healthier fish. Besides, the UV sterilisers stop the growth of algae, micro-organisms and parasites that can make your fish ill. The setup and maintenance are easy, there’s a cleaning handle that you turn to clean the inside sponge quickly, without taking the filter apart. Bear in mind that the hose fitting with the spinning propeller can get clogged pretty easily, though. The PFC-5000 model is said to be effective for 5000-litre ponds. However, this model can’t work for ponds that are filled with sludge and debris, in which case you would need a bigger size. Luckily for you, there are various other models on the main product page that can work for bigger ponds, up to 50,000 litres. And if that still doesn’t work, you can always use the 24-month guarantee. Another advantage is that the pressurised filter can even deal with waterfalls up to 3 metres. The maximum output is 6000 litres/hour, but that’s just at the surface of clean koi ponds. The 11W power is economical, and there are various hose tails for 20, 25 and 32 mm hoses. The Hozelock EcoPower+ can clean ponds up to 6000 litres. The 12W power is low, and the included UVC keeps the water clean, with a maximum water flow of 3000 litres/hour. All that makes it suitable for small to medium-sized ponds. It is quite efficient, courtesy of a turbulator in the UV chamber. Besides, the algae are gathered in this chamber, while the water is further oxygenated. Another good news is that this product features a top outlet, meaning this filter can be buried so it should, technically, last for longer. You can easily drain the water in the bottom chamber with a sludge drain. Another advantage is the flexi-hose, with various hose tails of 25, 32 and 40 mm diameters. Keep in mind that the in-hose needs a 25-mm hose and hose clip, while the out-hose needs a 40-mm hose. The disadvantage is that it’s pretty hard to see if the UV bulb is working, especially in the dark. But if something goes wrong, you can always rely on the 2-year guarantee. There are many UV filter reviews, but this specific product is one of the best-rated pond filter on Amazon.co.uk. The included UV clarifier gets rid of micro-organisms, parasites and algae that make your pond look like a primordial soup, so it can become crystal clear. This filter is compact, has a small footprint and comes with adjustable rubber boot connectors. The package also includes a 4-way air manifold valve, two airstones and 10 metres of airline. However, the outlet to the pond pipe may not match UK sizes, so you may need an adaptor. The combination of Nexus Eazy clean mechanical and Kaldnes K1 media biological filtration works well, especially for medium ponds or koi fountains less than 10,000 litres. The AirPump 70 kit is easy to use, once you understand the instructions. That’s because the instructions aren’t very clear, particularly because they don’t explain what some bits do. For instance, don’t try to fit the air stones inside the filter, as they’re used to oxygenate the water coming from the pump. This Hozelock Ecocel is one of the most efficient filtration systems at an affordable price. It’s also quite compact and light, which brings it portability and storage points. However, it lacks an UV clarifier. Still, the Ecocel features both a mechanical and biological filter, to eliminate both debris, sludge and micro-organisms. With a maximum flow rate of 2500 litre/hours and a maximum pond size of 5000 litres, this filter is suited for small koi ponds. The main downside is that it requires frequent cleaning, even on a daily basis if your water is really green. However, you can also use it for waterfalls, but you need a special support to mount the filter on. And the best news is that it doesn’t need to be plugged in if your pump has enough power to make it work. The Fish Mate 15000 is a good pressurised pond filter that can clean ponds up to 15,000 litres total, if there is sufficient light and if these ponds aren’t too stocked. However, this is an efficient filter which combines various methods to clean your water. And to top this, you benefit from a 3-year manufacturer guarantee. The first is the UV filter, which prevents green water algae and parasites from multiplying, at a mere 13W power consumption. The next is the mechanical filter, manufactured from a profiled filter foam that keeps out sludge. And last but not least, the Fish Mate SUPRA+ biological filter kills bacteria and micro-organisms, and it’s much more quality than a simple plastic filter. Another advantage is the Powerclenz automatic cleaning system, which makes this filter such an easy-maintenance: you just have to turn the cleaning knob. However, the clean function doesn’t automatically turn off, and the filters don’t self-clean a lot of muck. The easy setup shows user-friendliness too, but the best thing about the installation is that you can choose to bury or place it above ground. There are three hose tail inlets to fit your hose diameter, either 19, 25 or 32 mm. The single clamp ring for the lid makes it easy to lift, but the 5-metre cable could be longer. Now that you’re here, you understand how a pond filter works, how much it lasts, and what size you need for your pond. Once you’re clear on what you need, the reviews above can help you get the perfect filter for your garden pond. 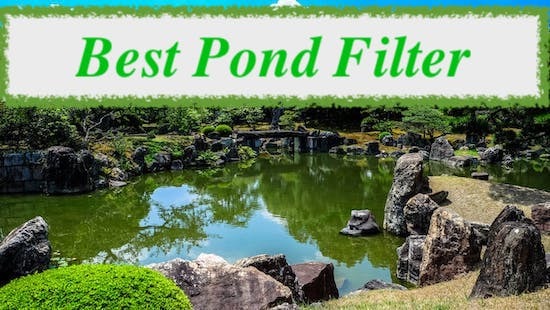 Have you tried other pond filters before? What worked and what didn’t?